Uniteam Training is delighted to announce the launch of the world’s first Serious Game for seafarers, designed to improve behavioral based safety onboard ships. Faced with ever shortening attention spans and retention rates with more classical teaching methods in the shipping industry, Serious Games feed directly into learners’ motivation and genuinely increase their engagement and excitement. Through careful design of a Serious Game, utilizing instant feedback loops, badges, progress bars, and leaderboards aligned with Learning Objectives, one achieves real results, as has been demonstrated in many other industries. The Serious Game is called “Escape from Desolo”: A single player adventure game, it tells the epic love story of a young cadet (the player) onboard a small containership, desperate to take shore leave so he can meet up with his beloved girlfriend “Eve” in Hamburg. Disembarking from the “Desolo” is not easy, and the cadet has to use his wits and skills to navigatesafety hazards, respond to alarms and drills, negotiate with a Port State Control Officer, solve puzzles, work safely/stay healthy, follow shipboard procedures, and make sure the reputation of the Owners of the “Desolo” is preserved. 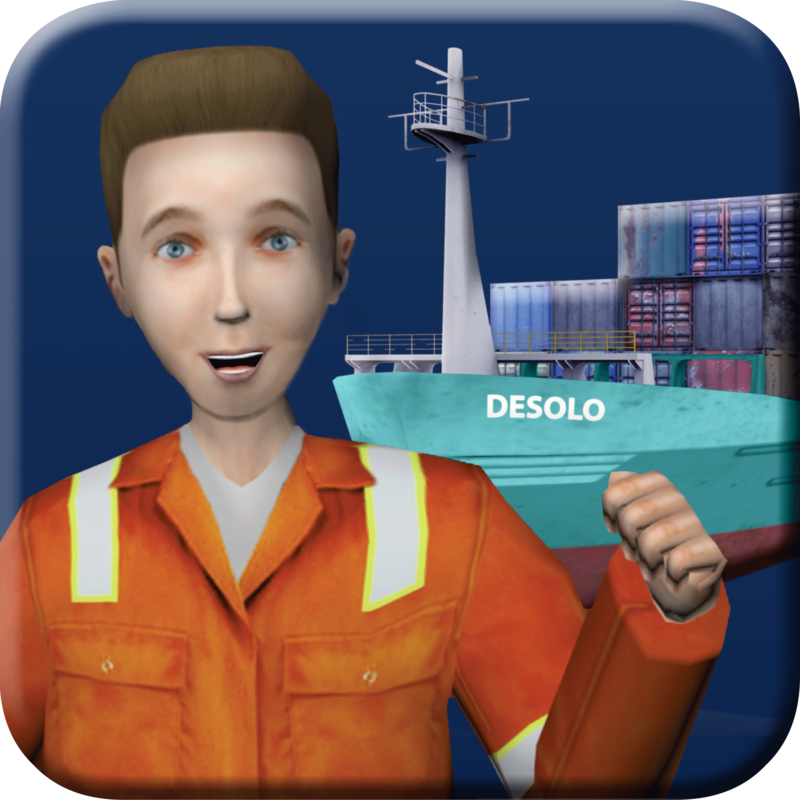 This innovative Serious Game is Uniteam Training’s contribution to improving safety in the shipping industry globally; as such the decision was made to make the game available free of charge, so every (aspiring) seafarer has a chance to play it. “Escape from Desolo” can be downloaded as an APP in the Google’s Play Store and from Apple’s iTunes store. The game is further available for offline playing on a PC or tablet. “Escape from Desolo” is designed for all ranks, ages, and genders and is available in English or Myanmar language. Additional language requests can easily be considered. “In Uniteam Training, we believe Serious Games are one of the building blocks in our new approach of engaging and exciting 21st century learners in the shipping industry: This will be the first of many more games we will develop, as we continue to find ways to make learning relevant, effective, practical, flexible, and foremost fun”, says Paul van Empel, Managing Director of Uniteam Training, and creator of “Escape from Desolo”. Uniteam Training develops training solutions, accredited as per the highest international standards for the maritime and oil & gas industry. Operating from modern facilities in Myanmar and Ukraine, the centres are equipped with state of the art marine simulators. Amongst them a 360 & 270 Degree Full Mission Bridge Simulator, Engine Simulator, ECDIS Simulator, Crane Simulator, Advanced Firefighting Simulator as well as Welding Machine Facilities, Live Process Plant with Control Room and a fully operational Fast Rescue Craft and Enclosed Lifeboat. Uniteam Training Limited is part of Uniteam Group of Companies.